Insecurity, weakness and manipulation: run away quickly, ladies! 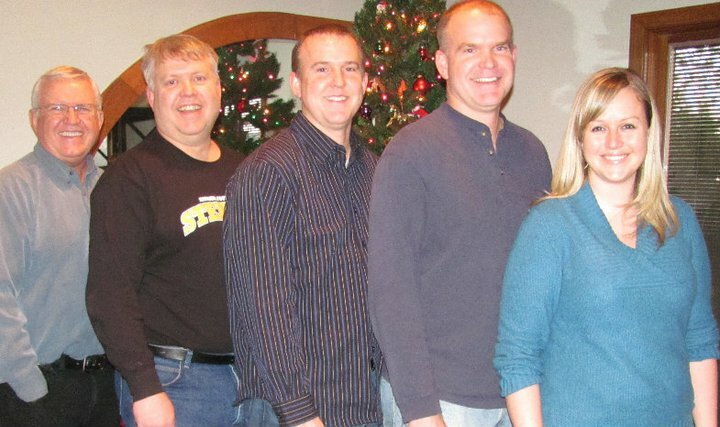 My dad and three brothers – good examples of great men who are strong and secure! I haven’t always seen my worth. I may have said it, but I didn’t believe it. We all say we are worthy of love and friendship and an amazing career and great life, but we don’t always believe it. When you realize that you are worthy of all those things, everything changes, especially how you see men. Over the years I’ve put up with a lot. I’ve dated an alcoholic, cheaters, jerks, liars and more. And I put up with it. No one held a gun to my head and said I had to be with men like that, I willingly participated. While not every guy I’ve dated has been terrible, many of them have been. I put up with it because I didn’t realize that I was worthy of more. But aside from the glaringly obvious reasons to stay away from certain guys (addiction problems, abuse, etc. ), there are three, more subtle, qualities that I believe should send all women running. If you don’t truly understand your worth, you’ll stick around. And trust me, it will be disastrous. It will not end well. It’s possible to have insecure moments without being flat out insecure. But a full-blown insecure guy is something you don’t want to deal with. This can be tough because often the hottest guys are the most insecure. Their entire lives they’ve been judged by their appearance, and even though it’s because their appearance is good, it makes them question people’s motives. Whatever he looks like, an insecure guy won’t trust you. Wanting a healthy dose of affirmation is understandable, but a guy who constantly asks if everything is OK, if he did something wrong, and if he constantly apologizes when an apology isn’t necessary, you might be dealing with someone who is insecure. He’s afraid he’ll mess up, he’s afraid he’ll lose you, he’s afraid you are interested in someone else. It’s exhausting to date someone who is constantly insecure. A guy who is weak cannot handle stress. He’ll often turn to alcohol, drugs or other unhealthy things in order to deal with life’s tough moments. Granted, tough times will come, and people make mistakes in dealing with hurt. It happens. But a guy who is weak will take any little argument or bad day and turn it into something much bigger than it is. It’s almost like he’s a drama queen. You don’t want a man who is weak. A man who can never deal with his feelings is pretty depressing to be around. Of course your job is to support your man when he has moments of weakness, but if he is constantly weak and not handling it like an adult, you’ll feel like you’re dating a child. Chances are, if he’s insecure and weak, he’ll probably be manipulative. These guys are the worst, and this is probably my biggest pet peeve. A weak woman will fall for a manipulative guy. She’ll take the manipulative things he says and take them to heart. She’ll believe the things he says. She’ll feel bad. She’ll get herself into a terrible and sad situation. Manipulative guys love to make you feel bad. They thrive off of telling you lies that make you believe you have hurt them in some way. In doing that, they have complete control over you. If you aren’t ready, you’ll fall for it. If you don’t see your worth, you’ll stand for it. And that breaks my heart. Just a heads up, it’s actually quite entertaining to call out a guy who is trying to manipulate you. Once they realize their tactics won’t work on you, they’ll stay away. And you’re much better for it. Just like a strong man wants a strong woman, a weak man wants a weak woman. At my age, the first signs of insecurity, weakness and manipulation send me running, and I wish more women would do the same. Sure this means I go on fewer dates. It might prolong my singleness, but I’d rather be single than dating a guy who is any of the above types. Do you know your worth? If you do, you’ll realize that you deserve someone who is secure and strong, and someone who won’t try to control you. Those aren’t unrealistic qualities to desire in a man. Africa destroyed me, and for that I am thankful. CONGRATULATIONS! Let me add one more – an angry person! Anger will eventually boil over on the one being dated. None of these is gender specific. They go both ways. Absolutely, Ray! That’s a big one for me. The alcoholic I dated had a terrible anger problem, and one of the top red flags for me is a short temper. I just won’t stand for it!